Inter Milan’s Under 21 starlet Felice Natalino’s career is in jeopardy as the 20-year-old full back underwent emergency heart surgery. He was diagnosed with an irregular heartbeat but faced a rehabilitation process to get him back in training. However, he sadly fell ill two weeks ago and was rushed to hospital and flown to Milan on Thursday for surgery. 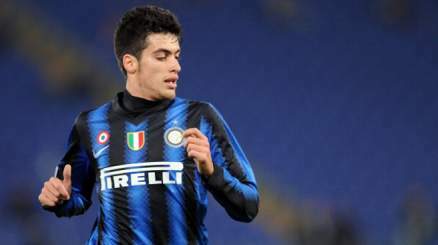 He made his Serie A debut at only 18 and has notched up two top flight games for Inter and a single Champions League appearance. Natalino has already played Champions League football for Inter. Felice can return to playing football,” father Pasquale told La Gazzettadello Sport in Italy. “If he can, then it won’t be earlier than four or five months. What really counts is that my son is fine and we are happy.